While I don’t always like to use my blog for advertisement for upcoming church events, we really want to get the word out about this. 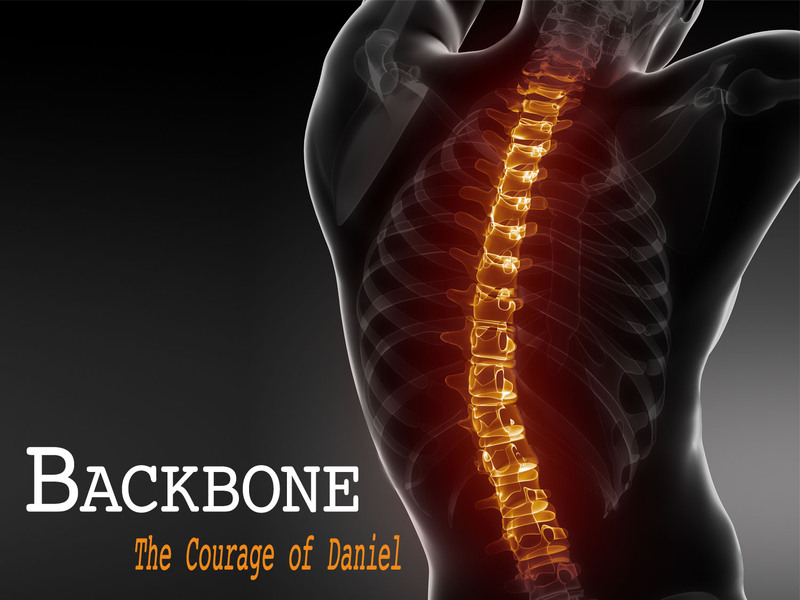 On Sunday, March 4 at Cross Community Church, I will be starting a series entitled, Backbone: The Courage of Daniel. Backbone is defined as: courage, boldness, bravery, determination or fearlessness. In down-to-earth terms, it means “guts”. Daniel was one of the gutsier guys I’ve ever heard of. He stood his ground, defended his convictions even when faced with a life-sentence. Honestly, I wonder if I would have the courage to do the same. Hopefully Daniel will inspire us to be strong and courageous. If you’re in our area (Palm Beach County, Florida), we’d be honored if you would join us for an upcoming service. If you’re not in the area, you can check us out online. Backbone begins on March 4! Previous PostPrevious 40 Days to New Life!